We are delighted Vanessa Wilson has started as the new CEO of University Alliance. Vanessa joins us from her previous role as Director of Commercial and Communications at UK Sport, the government’s lead agency for delivering elite sporting success and major sporting event hosting in the UK. Her role included championing the significance of public funding and National Lottery investment across 55 Olympic and Paralympic sports and around 1100 Olympic and Paralympic athletes that receive funding. 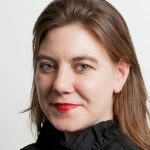 She has also held senior strategic communications, campaigns and marketing roles across Whitehall – including the-now Department for Education (2000-2005) and the Department for Environment, Food & Rural Affairs (2005-2011). “It is a huge privilege to be joining the University Alliance and working with the member universities at this critical point for post-18 education. “I believe universities – and specifically University Alliance universities – are champions of social justice through their commitment to widening access and participation; their commitment to teaching and learning, innovation and enterprise and the critical role they play in the communities in which they serve. The current volatile policy, political and public environment gives us the chance to put forward a bolder vision, mission and strategy for the entire education system. We must build consensus around the value that technical, professional and vocational education brings to the nation and how it contributes to a successful economy and will deliver on the Government’s ambitions set out in its Industrial Strategy. This demands universities are more proactive in building on their strengths but tackle areas urgently where they simply don’t step up to the plate – in particular, standing shoulder to shoulder with the rest of the education system on funding. Vanessa joined the Civil Service in 1996. She worked across four government departments (DfEE, DWP, DfES and Defra) over 15 years advising ministers and senior policy officials. Vanessa joined the Senior Civil Service as Defra’s Head of the Strategic Communications Unit. In 2011, Vanessa joined UK Sport, as Director of Commercial and Communications. She worked on four Olympic and Paralympic Games including the 2012 Games hosted in London and the historic Rio Games at which Team GB and ParalympicsGB secured second position on both the Olympic and Paralympic medal tables. Vanessa played a key role in making the case to Government to secure record investment for Olympic and Paralympic sport. She also helped establish UK Sport as the standout distributor of Lottery Good Causes funding. Vanessa was an external trustee and Deputy Chair at University of Lincoln’s Students Union from 2014 to 2018.